The Abkhaz Orthodox Church said it has now officially split from the Georgian Patriarchy. It will also ask the Moscow Orthodox Church to accept the new Eparchy under its authority. 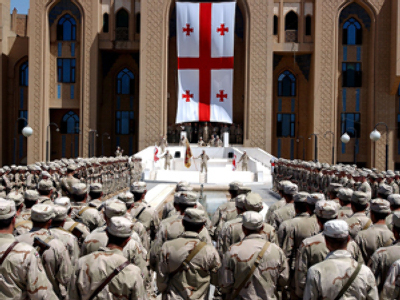 Clergy leaders in Tbilisi have refused to recognize Abkhazian independence, saying that the decision was made by a self-proclaimed group of imposters. "We do not take this statement seriously," a Georgian patriarchy spokesman is quoted as saying by RIA Novosti news agency. "It was made by a group of impostors… Not one of the 15 Orthodox churches, including the Russian Orthodox Church, recognizes the independence of the Abkhaz Church." 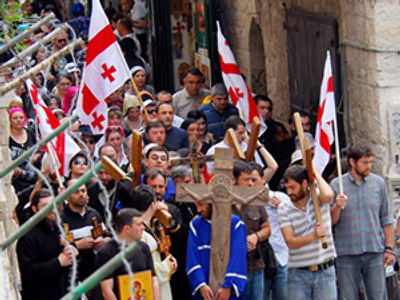 Church officials in Moscow said they respect the Georgian Church's authority over Abkhazia. "The Russian Orthodox Church believes that changes of political borders do not mean changes of church canonical borders," said Archbishop Ilarion. Officially, the Abkhaz Orthodox Church is part of the Georgian Apostolic Autocephalous Orthodox Church headed by Catholicos Patriarch Ilia II of Georgia. However, after The Georgian-Abkhazian conflict in the early 1990s, the Georgian Church lost control and jurisdiction over its property in Abkhazia.